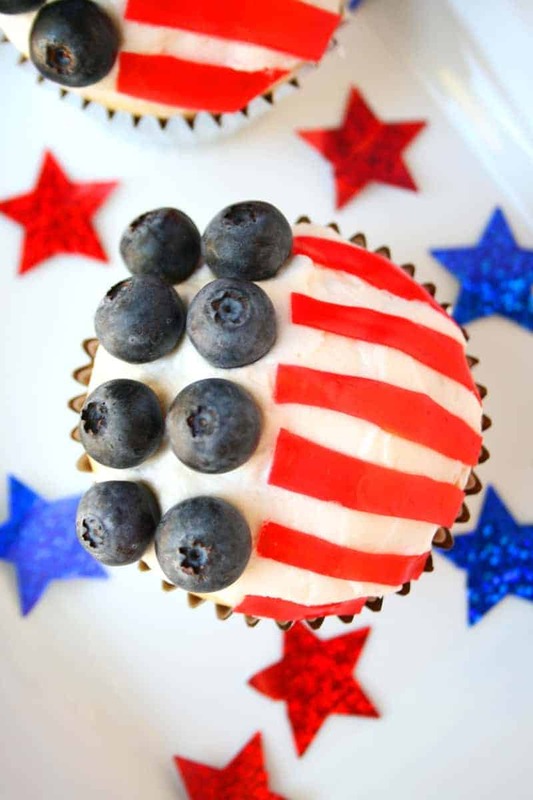 American Flag Cupcakes are vanilla cupcakes with buttercream frosting and a flag design made of blueberry stars and fruit roll-up stripes. I just can’t resist making treats for the holidays. 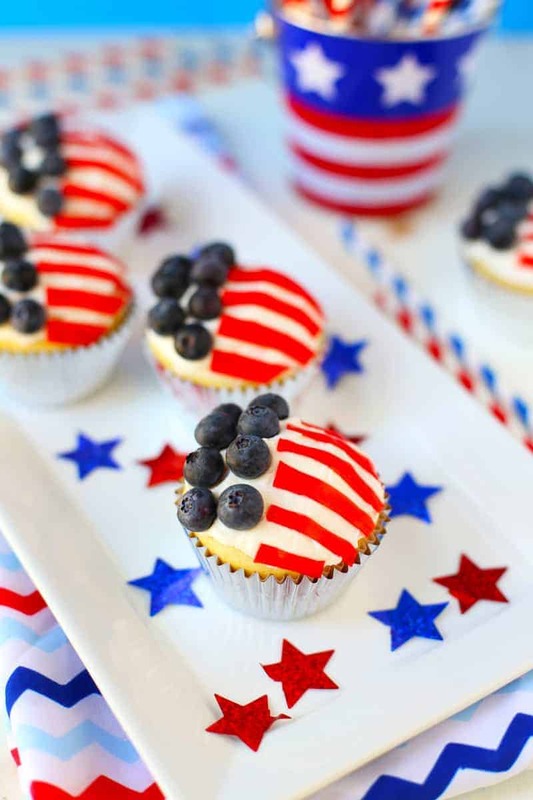 July 4th is coming up and the perfect time to make something red, white and blue. 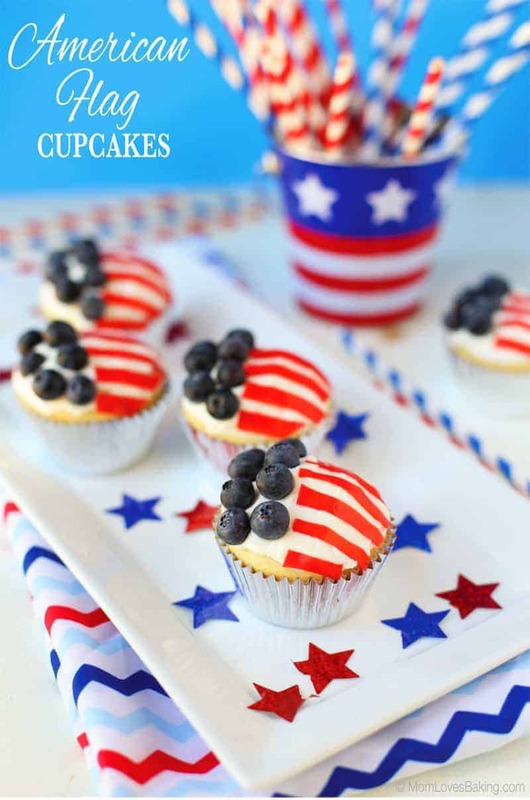 I got the idea for these adorable American Flag Cupcakes in the First for Women magazine. 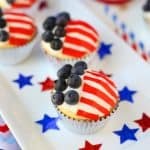 The cupcakes are simple to make and the kids can help you decorate! I even made them a little bit healthier by baking the cake mix with egg whites and coconut oil. Plus, there’s fresh fruit on top! But mostly, they’re just so cute and tasty too! 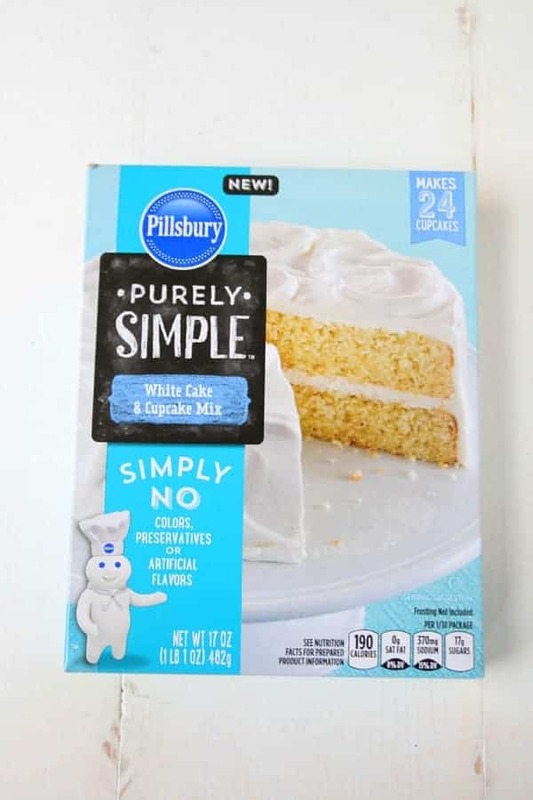 This isn’t a sponsored post but I wanted to share with you that I used the new Pillsbury Cake Mix called Purely Simple. I love it because there are no colors, preservatives or artificial flavors. I tried it out last year and made some delicious Cake Mix Waffles. I used coconut oil instead of butter because it’s just so good for you. This Publix brand Coconut Oil is very good but it does give the cupcakes a hint of coconut flavor. If you don’t want the coconut flavor, try LouAnn’s brand. I have to admit that cutting the fruit roll-ups was a little bit tricky. Then I switched to using the Fruit-by-the-Foot brand and it was much easier because it was already cut into the perfect width for my flag stripes. Add your stripes on the right side of your cupcake. Then place the blueberries on the left side. The smaller blueberries work the best. 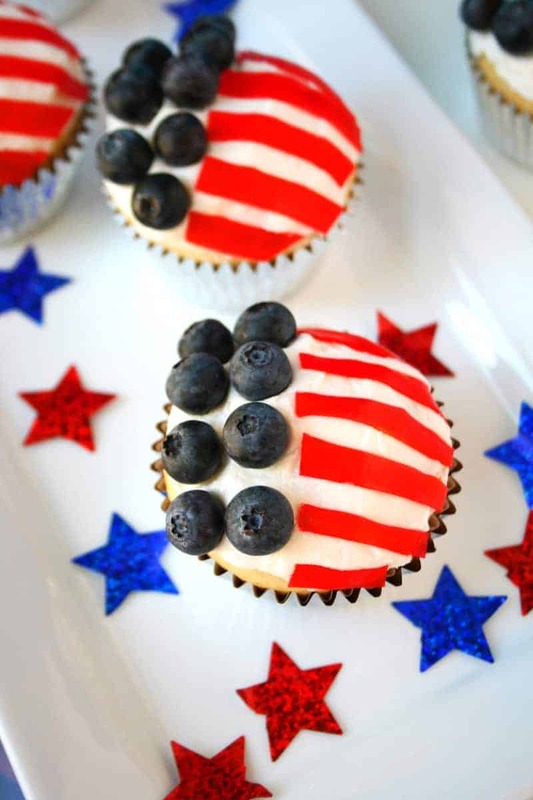 These American Flag Cupcakes are so much fun. They would be great to serve at a July 4th party. Just a little warning, if you want to take them to a party, be careful because the blueberries like to fall off during transport (yes I did that). You might want to add the blueberries when you get to the party. Place 20 cupcake liners in cupcake pans. Set aside. 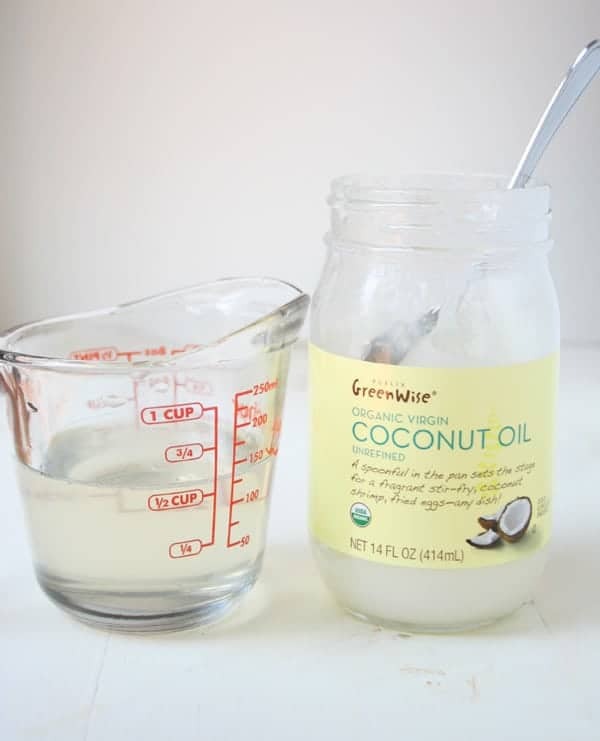 Place cake mix, coconut oil, egg whites and water in a large bowl. With an electric mixer, beat on low until ingredients are combined, then turn up to medium and beat for 2 minutes. Divide batter into 20 cupcakes. Bake for 23-25 minutes or until light golden brown on the edges. Let cool. Meanwhile, make frosting. Beat butter in a large bowl with an electric mixer for a minute. Turn to low and gradually add the sugar, vanilla and cream. Turn mixer up to medium and beat for three minutes. Frost cooled cupcakes. 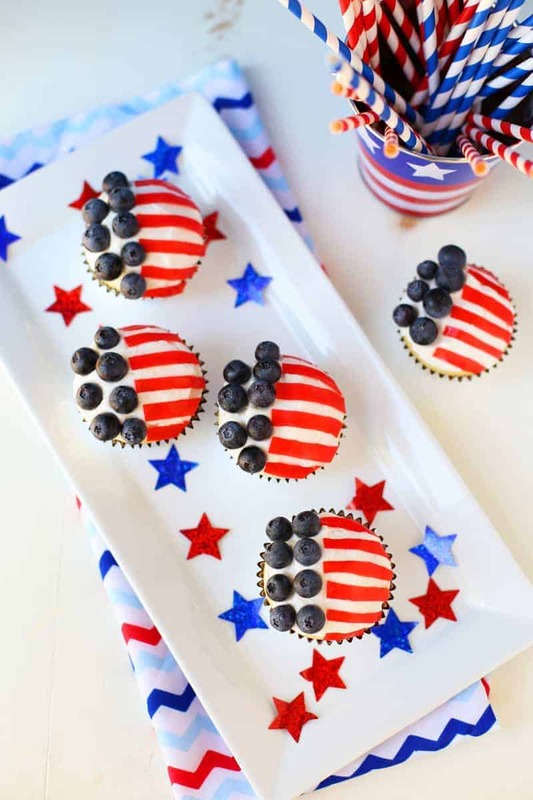 Cut rolled fruit snacks into narrow strips and add to half of the cupcake for flag stripes. Add blueberries on the other side. Serve immediately or store covered in the refrigerator for up to 3 days.